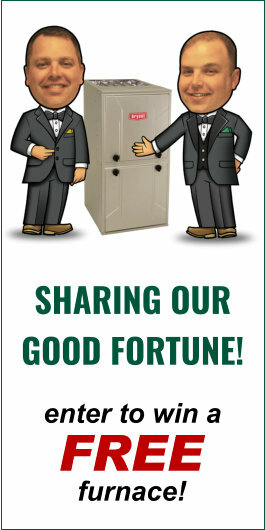 Verne & Ellsworth Hann selects winner to receive a FREE furnace! For the second consecutive year, Verne & Ellsworth Hann Inc. has chosen a winner for our “Helping Hann” FREE furnace giveaway. Nominations were narrowed down to a list of five finalists in which the winner was randomly selected. Cleveland Heights resident, Ms. Ardyce Daugherty will receive a free furnace installation including all materials and labor, courtesy of Verne & Ellsworth Hann as part of our company’s “Helping Hann” FREE furnace contest. 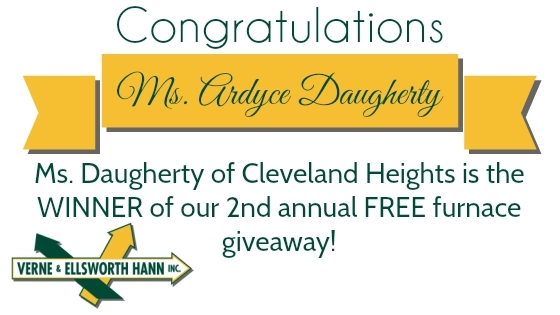 Ms. Daugherty has been a Cleveland Heights resident since 1979. She began working for the phone company out of high school and retired after 32 years. A single mother of four children (7 grandchildren), Ms. Daugherty needed to go back to work part time for financial reasons. During one of this winters worst snow storms, her furnace stopped working. The 50-year-old furnace continues to work intermittently leaving her without heat on many cold nights. Ms. Daugherty said she is thankful Verne & Ellsworth Hann offers the “Helping Hann” free furnace giveaway and it couldn’t have come at a better time.